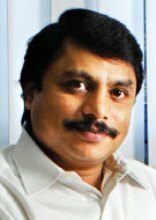 Manufacturers of Personal Computers, Servers, Laptops, Tablets & Software Development with 24 years of diverse experience in India and overseas having commenced the business career in manufacturing industries in various disciplines. These years were marked with significant breakthroughs in what later became the strong strategic positioning in India within the licensing agreements, joint ventures and sales achieved by these businesses in India. The Last 5 years has been a special focus on promoting education by using latest ICT in Education in India. Have received several recognitions & awards from Intel, Microsoft & other industry leaders.